Today is the part 4 and the final session on our series of Meeting Rhythms. If you are listening to this podcast for the 1st time welcome. You may find it helpful to go back to episode 142 and listen to part one which was the importance of daily huddles, then 143 on weekly meeting who should attend and what does an agenda look like. Last week we covered the Monthly meeting and todays episode is about the importance of booking time with your team for an off-site business planning session or corporate retreat! Regardless if you are a solepeneur a small company or a large company with a formal board of directors, corporate retreats are Vital to the success of your business. As a graduate from the Australian Institute of Company Directors they also promoted that the Board of Directors should have annual board retreats to foster board culture. In this episode, we will cover why annual planning sessions are important what’s the purpose, and the components or structure of a successful retreat. With 20+ years as an entrepreneur I have attended many retreats I have also facilitated corporate retreats for my staff as well as, retreats for multitude of companies. Before we dive into todays episode I want to take a minute to thank you for listening and if you enjoy this podcast please share and I would love if you could give us a rating and review while on iTunes hit the subscribe button so you never miss an episode. Let’s dive into today’s episode on why corporate strategy planning is vital for your business. Yet many small to mid-size companies jump into the process without proper preparation, hampering the effectiveness of a typical one- or two-day off site retreat. Worse, many of the decisions reached during these retreats are made without sufficient qualitative and quantitative information. Though I'm generally in favor of making decisions vs. being gridlocked by indecision, decisions made without vital facts can be highly dangerous to the company. They could set the company back several months, if not years. So, to significantly enhance the strategic thinking – verses planning – aspect of a quarterly or annual planning session, here are three critical preparation steps. Your rank and file employees have a unique perspective on the business that is different from that of the senior leaders. Because they are generally closer to the customer in their day-to-day activities, their insights must be harnessed in the planning process. And involving them in the process helps create critical buy-in when it comes time to execute on your plans. What do you think our company should start doing? What do you think we should stop doing? What do you think we should keep doing? What's critical is making their feedback transparent and publishing it verbatim (unless there are attacks on individuals) on an internal webpage for everyone to view. And it's equally important that you close the loop after the planning process to let the employees know which ideas you incorporated and more importantly, why you might have pushed back on others. This builds trust and enthusiasm for contributing more in the future. Customers, in general, do not like written surveys. As a result, I encourage your senior team to identify your top 10 or 20 customers and give them a phone call. On this call, refrain from asking immediately how they like your products or services. You want them to talk about their favorite subject – themselves– first! What's happening in your industry/neighborhood? This is your chance to identify trends that might influence the design of your own products or services. How are you doing? You want to understand the opportunities and challenges facing your customers. What are their priorities for the coming year? And more important, what are they projecting their sales will be in the coming year. Will they be up, down, or the same? Knowing the perceptions of your top 10 customers will help you project your revenues better than reading the thoughts of the top 10 economists! What's happening in your industry/neighborhood? This is your chance to identify trends that might influence the design of your own products or services. And it will give you a glimpse of what other potential customers in the same industry are doing. What do you hear about our competitors? If you don't think your best customers are being called on by your competitors, your head is in the sand. I prefer to learn what my competition is doing through the eyes of my customers, instead of relying only on my own perceptions. How do you like our products/services? Of course, you need to ask this question, but not until the end. Ask your accountant or CFO to dive into the numbers and produce a series of charts and graphs for the off site. Start by ranking all your various products and services by total gross margin contribution. Also rank them by revenue, gross margin percentage, and profitability. You're looking for the products and services that account for 85 % of your total activity and financial success. Ten percent of your products, services, customers, sales people, locations, etc. outperform the other 90%. Do the same for all your customers. Then create similar charts and graphs for each division, office, location, and sales person. Cut the numbers in as many rational ways as you can to see where you have the 80/20 rule operating in your company. In my experience, it's closer to 90/10. Ten percent of your products, services, customers, sales people, locations, etc. outperform the other 90%. Next, analyze the specific costs associated with your top products and services. You'll also want to reach out to your industry trade association to gather any comparison data showing the cost structures of the best companies in your industry. Use this data to benchmark your own performance. Add to the information gathered above a Strengths, Weaknesses, Opportunities, and Threats (SWOT) analysis of your business, and you're prepared for your offsite. As suggested in past columns, it's best if you're gathering this kind of employee and customer (and competitor) feedback on a weekly basis, so you're not cramming all this activity into a short period of time. Equally important is updating the financial charts and graphs you find most useful on a weekly basis as well. You're looking for specific patterns and trends within your company and industry, which are easier to discern over a longer period of time. However, gathering this information at the last minute is better than not having it at all and will dramatically improve the effectiveness of your next strategic planning off site. Now that you understand the preparation before the retreat what does the retreat consist of. The main purpose of a corporate retreat is for you and or your team to become crystal clear on the vision, purpose, & core values of your business. 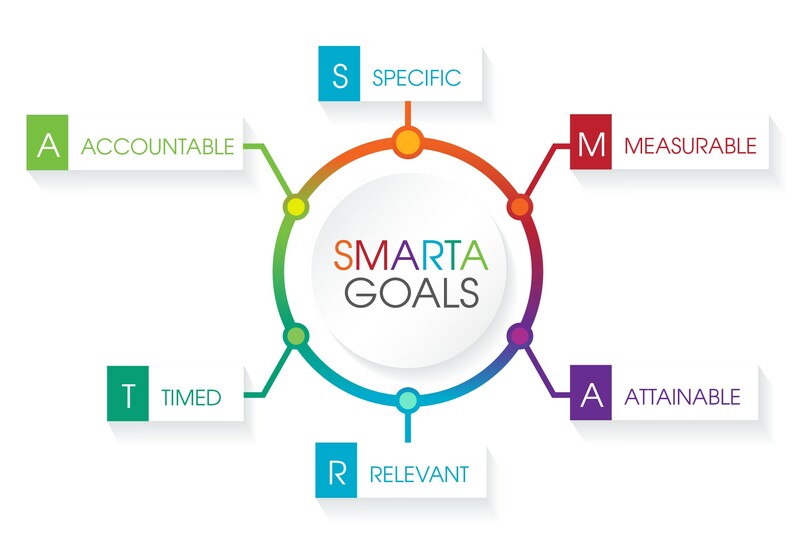 Take time to review past growth strategies but also risks, plan the most important goals for the year ahead – ensuring they are SMARTA goals! Today’s business world is one of intense change. Your competitive advantage lies in your collective ability to envision a future and bring that future to life. Your competitive advantage lies in your corporate culture and the relationships between the individuals on your team or on your boards. Retreats inspire big picture thinking and out of the box ideas. CORPORATE retreats can help your team but need to include specific components. Here are 4 components I recommend. Review of previous year - What worked… What did not! Learn from the mistakes made and set up processes to ensure they do not get repeated. Very important to assign people who will be responsible to manage the process and be accountable. Get clean on your Vision, Mission alignment of Core Values – If you’re a startup then you need to take sufficient time and create your Vision/Mission statements and ensure your values represent what is most important things that rattle you to the core, they are values that are non-negotiable. If you’re an established company annual retreats provide the opportunity to revisit and ensure the entire team understands your vision and is completely on board! Lastly but I feel this is one of the most important components of retreats. Focus on Corporate Culture Alignment and Team Building! This can be achieved in numerous ways but the best ones are when everyone is participating in a team exercise that takes the team out of their comfort zone. I would like to end with a quote.